A man who went to the doctor complaining of a headache was shocked to discover he'd had a 4in knife blade stuck in his brain for more than four years. 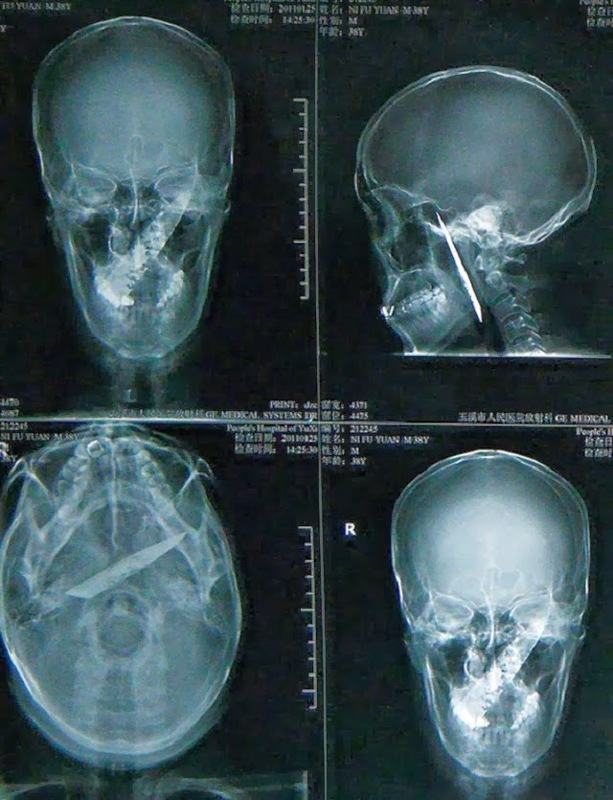 Li Fu from Yunnan Province, China, was stabbed during a robbery in 2006, and the blade of the knife had lodged in his cranium. 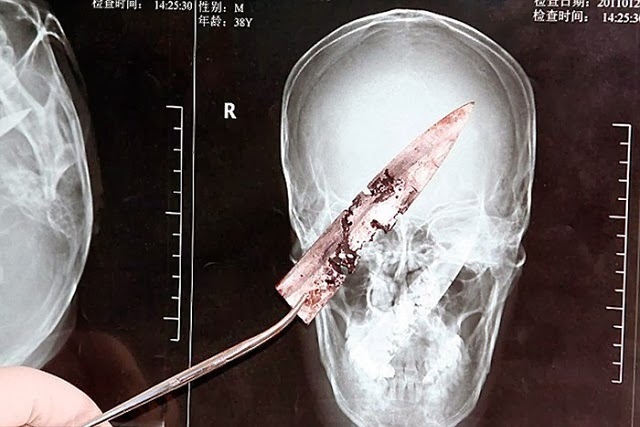 But despite receiving treatment for his injuries, doctors failed to notice the knife buried deep in the 37-year-old's skull. Incredibly, it wasn't until Li visited the doctor last month to complain of his continuous migraines that doctors finally made the grim discovery after a routine X-ray. Li and his family were so shocked by the X-ray results. 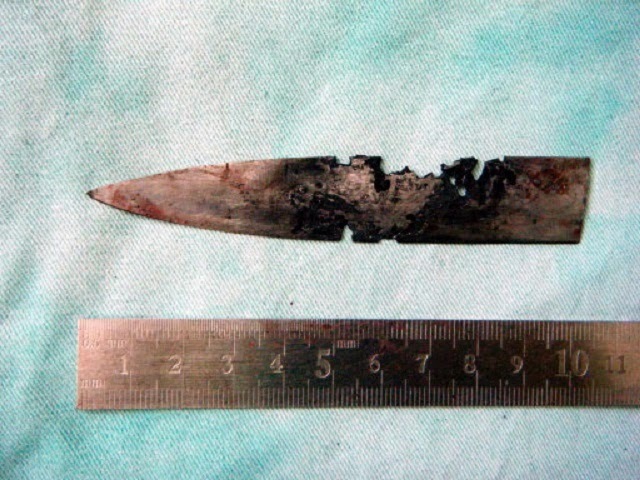 Li underwent an operation to remove the knife at People's Hospital in Yuxi City. Luo Zhiwei, a surgeon at People's Hospital of Yuxi said he had never seen anything so bizarre in his entire career. He said it was a miracle that Li could survive being stabbed in the head, let alone survive having the knife lodged in his brain for four years.